Welcome!! If you're on the hop you should have come here from the blog of the super talented Kalyn Kemper. Today I'm very excited to be participating in the Teri and Friends Technique Tuesday Blog Hop. I was so honored when Teri Anderson asked me to take part in this hop featuring her new stamps that she designed for Technique Tuesday. Here is a little more about Teri and her stamps in her own words: "I am a card maker and a scrapbooker with a lot of love for card making so there's a lot of card influence in my stamps!" I completely agree - I just LOVE making cards with her stamps. They're so graphic and fun!! 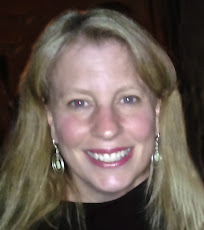 Be sure to leave a comment on this post because Teri has generously given me (and all the blog hop participants!!) a stamp set to give away to one lucky person!! The set I'm giving away is called Button Up. 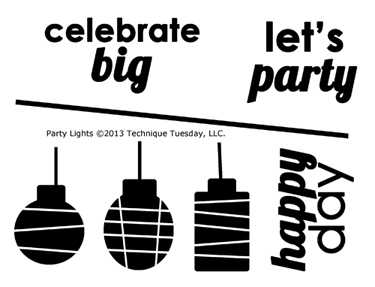 Scroll down to see the set and check out the card I made featuring Button Up and Party Lights. 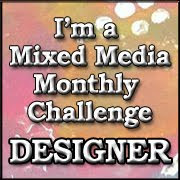 You have until February 28 at midnight to leave your comment and I will post the winner here on Friday, March 1. We all have a set to give away so be sure to leave comments on all the blog posts in the hop!! For my card today, I'm featuring her set called Party Lights. It comes with these super cute lanterns and several fun sentiments. I used Hero Arts Neon Inks and Glitter tape on this card also. You can buy this set here. You can also find her stamps at Ellen Hutson, Two Peas In a Bucket and Simon Says Stamp. Here is her Button Up stamp set and the card I made using some of these fun buttons. This is the set I will be giving away this Friday!!! To purchase Button Up click here. Now be sure to hop on over to the brand new blog of the amazingly creative Kim Kesti for some more Teri and Technique Tuesday goodness! If you get lost along the way you can always find the master blog hop list on Teri's blog here. Thanks for stopping by and have a great day! Man I think I'm going to "need" these inks!!! Bright, fun, happy!!! Sweet use of the buttons! Great glitter on this first card, very pretty colors. Such a sweet lantern card... very bright and happy. These are both totally fun! So, so, so happy to see your lovely creations. It just makes me happy seeing what you make. and for being letting me call you my friend. Super fun cards! I especially love the neon colors of the first one! Very cute - the lanterns as banners - nice job! What bright beautiful colors you used. Your cards are terrific. Such awesome cards! So happy Teri put this together! Both of your cards are really cute! Would love to have that set of button stamps...it's so versatile! Thanks for the chance to win! Adorable cards! So fun and cheery! Love the lanterns! Cute card! Cute stamps! Cute cards!! And cute stamps! Teri's stamp sets are just too cute! I must be in the right place, love lanterns, buttons, stamps by Teri,cardmakers and corgies. This is heaven. Very cute cards! This is such a fun hop! These are so much fun, Donna! Love them both! i seriously love these stamps! What darling lanterns ;) Such a cute card AND I can see all kinds of possibilities with those buttons! What a fun card! Love the bold colors. Love both stamp sets. the lanterns will make cute cards for many occasions. Buttons are always in style. These are cute! Love the glitter strip on that first one! Super fun cards Donna! I really love the bright colors on the first one too! Hugs!!! Oh gosh, so darn cute! Love the simple stamp images and fun card! Teri is not only an awesome designer, she's an awesome person, too <3 Thanks for the chance to win! Love the lantern card - awesome, bright colors. I'll have to give neon a try. Thanks so much for the chance to win! 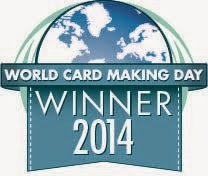 Great cards, and great stamp sets to win! Pick me! Pick me!! So adorable! 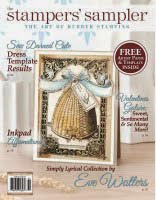 Thanks for the chance to win one of Teri's stamp sets, too! cute cards, love the buttons. Fabulous cards! Love the party lights and the colors you chose! TFS! So Cute...Love this fun card! love your card! The glitter tape at the bottom is perfect! Love that little lantern banner!!! So cute! This is so much fun! I love the bling along the bottom and the fun colors you chose too! Both are so cute! I love the buttons all lined up like that! What fun cards...love them both. Thanks for sharing your inspiration. Love both of the cards. Great images and colors. Lot's of fun. EEE! both of these sets are so cute! What an awesome creations... I just love how the lanterns look, so festive and swinging..
Great cards using these cute sets!! How exciting, what a wonderful new release. 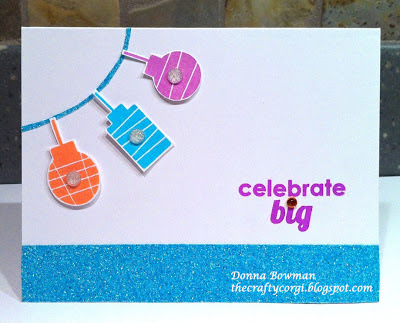 Love these bold fun designs and also LoVe your card Donna! Love this card and the lanterns. Too funny. I just finished a series of projects with Bo Bunny Serenity paper, lanterns has been my thing this past month and love them. This stamp is now on my wish list. Love the Japanese lanterns. They look so festive. Cute, cute, cute! I couldn't imagine anything less from Teri's stamps, though! Thanks so much for sharing! I love how you used neon inks in your first card, and how you placed the 'buttons' on the second one! Really great way to showcase Teri's new stamps!!! love those neon inks - great stamps. Those little lanterns are so cute. The button card is great, love your background technique. Very cute! By the way I use to have a welsh corgie pembruke called Muffin! Your cards are adorable! Thanks for the inspiration! Both of your cards are adorable! Love them! Congrats on Teri's invite Donna! No wonder she asked you...you rocked these stamps! Love your CAS designs and use of bold colors. FABULOUS!